You’d be surprised how important the simple name tag can be for the growth and success of your business. Not only do name tags contribute to employee accountability, but they make customers feel more welcome. They are used across many industries, including hospitality, retail, banking, healthcare, and more. They also help tell the story of your brand and help people remember their experience interacting with your company representatives. 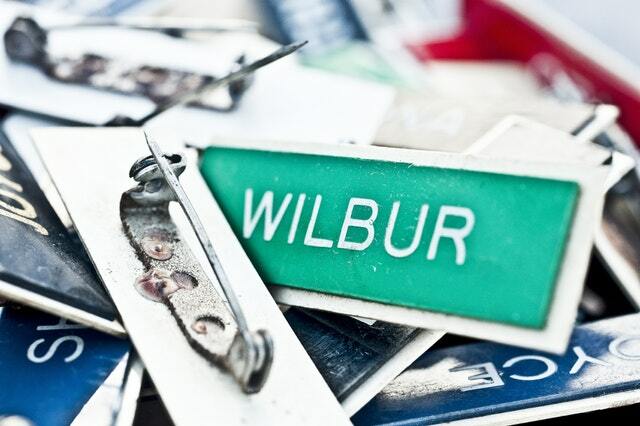 Read on to discover the importance of using employee name tags. Name tags make your employees and representatives feel more accessible. This makes customers more comfortable asking for help and services. It automatically increases a sense of friendliness, making your employees seem more approachable. It’s easier for people to start conversation and allows customers to give your employees more respect by addressing them by their names. Name tags lend to an atmosphere that expresses the feeling that customers are always welcome. Usually, name tags aren’t just blank squares with a name in the middle. They often feature the colors of the brand and even the company name. This extends your marketing efforts by acting as another place where your brand will appear. The more people see the name of your business and its associated colors or logos http://www.chesapeakeuniform.com/benefitsofputtingyourcompanylogoonyouruniforms, the more they’ll remember who you are and be more likely to recommend your products and services to other people. Use name tags as a marketing tool that will make your employees immediately recognizable. Speaking of being recognizable, when a customer walks into a business environment, they’ll know exactly who is a person of authority that they can go to for assistance, once they stop the name tag. Your employees will stand out among other people, especially in retail environments where a lot of people are shopping. It makes employees easily identifiable, which helps customers receive the service they’re looking for in a much quicker manner. In some cases, wearing a name tag will help identify people who are prepared to provide aid or emergency services in perilous situations. In the opposite situation, name tags also help emergency and security professionals identify people who can give them access to certain areas of the commercial facility that will allow them to adequately respond to the situation.